This quilt measures 62″ x 62″. This festive quilt was made using our new americana line of Wilmington Fabrics. 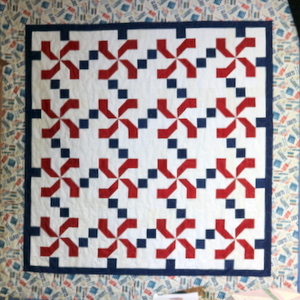 The border brings the quilt together for a beautiful finish. We have limited kits available for this quilt while they last. This can be your 4 week class project.